What Principals, Teachers, & Community Leaders Say! The Abuse Bites Program came in and did an AMAZING job teaching our youth about the dangers of cyber bullying and how to prevent bullying altogether! I would highly recommend this group to anyone who is passionate about tackling bullying from all sides. Lisa & John Freeman are truly angels in human skin! Lisa Freeman shares her amazing story of survival and healing while adding just the right amount of whit and humor. The students are still talking about the CHANGE CHALLENGE and how it helped them. One of the brightest highlights was the singing portion, by her son Jeremiah, who was nearly bullied to death. The dogs were an added bonus, everyone loved them, their stories, and their trick presentation." "Lisa brings a wealth of GREAT information, fun, and creativity to her workshops. Using the dogs to display forms of abuse and bullying is a wonderful way to teach children." "Lisa, thanks for sharing with our junior and senior high classes. Our teens really liked how you got so personal with them. It's a message of pain, recovery, and hope. A message that needs to be heard today. 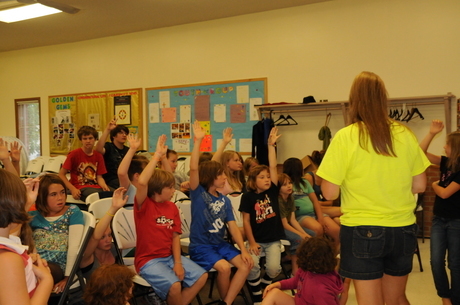 The students were engaged as you shared your story and gave them specific ways to stop bullying and abuse. You helped define what it really is and how students should confront it. Students talked with me afterwards about standing together and standing up to bullies. And everyone just loved the dogs!" "Programs like Lisa's to educate childen, teens, and adults on bullying and abuse is so desperately needed in the public schools and communities today. The Abuse Bites program raises awareness, promotes health, and brings positive self-esteem to people of all ages. This program also works to bridge the gap in racism, prejudice and bring all kids of diverse groups together as a whole, in unity, and stop all forms of bullying at the root." "Lisa Freeman's anti-bullying presentations offer kids, teens, staff and parents a unique, interactive way to learn important skills that will impact their lives forever. Owosso Public School District's Comprehensive Health Council supports her work to stop abuse and bullying in every realm." 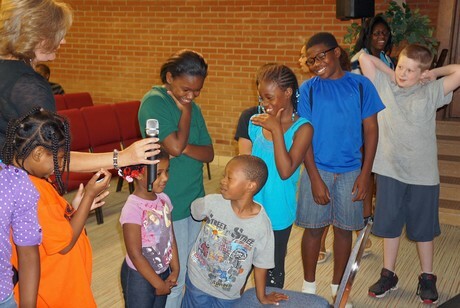 "Lisa does a great job in her anti-bullying workshops playing interactive games on bullying for kids and teens. She has a heart for them and it shows! She is very good with students who are fragile, struggling or who have been abused. Her dogs are amazing as well. A program like this is very needed in the community; it reaches students on all levels, bring a message of positive self-esteem the bridges across diverse groups. Every school should have her message in their school system." "All my kids and grandkids have read Lisa Freeman's newest book Run For Your Life which is geared to keep kids off the street, free from abuse, and at home where they belong. Besides, this award-winning author is also the mother of four children with varying disabilities, so she has a huge heart for kids of all diversities. She has written articles on all of my kids and grandkids about their Drive Safe program, to promote health and safety in kids and families. And that is what she's doing with the Abuse Bite's program. Hasn't there been enough bullying and abuse in the public schools?" "My name is Zach Bonner. I'm 9 and have my own non-profit organization, The Little Red Wagon Foundation Inc. I help homeless, abused, and hurting kids all over the world. I've been doing this since I was 6. I met Lisa when she got in touch with me about writing a story about me. She made me feel good and important and didn't treat me like some little kid. She knows how to work with kids and make them feel good about themselves. I don't have any disabilities, but I know other kids that do. They sometimes get treated different and bullied, and I don't think it's fair. That's why I'm glad about the Abuse Bites program doing anti-bullying workshops in schools, it helps kids too, especially disabled and abused kids. She even helps the kids bullying." I'm gay and want to thank you for speaking at our school about acceptance of others who are different. For awhile I had to pretend that I wasn't gay just so people would stop harassing me. Your message shows that we are all different, but yet want the same thing, to be loved and accepted by others. Thanks for taking time to listen at the end of your presentation and showing how much you care." " Your story changed my life. A lot of the stuff that happened to you, happened to me too. I haven't really told anyone, but I was raped too. I've dealt with a lot of depression and lately was feeling suicidal. I can't wait to read your book, Run For Your Life." "I really enjoyed the anti-bullying presentation! I thought it was great! It was a lot of fun and it spoke to me. My classmates really liked the activities too. They talked about all through 6th hour! Thank you so much for coming." "In the assembly today I learned that you don't have to put up with abuse and stuff you aren't comfortable with doing. And you don't have to stay in a bad relationship and you can call for help if you're scared or tell a safe adult." "Today at the assembly I learned to be careful who you be with and make your choices wisely. Think for yourself. Don't let anyone pressure you into doing what they want." "Your assembly was very motivating. I have a friend in a bad relationship who gets beat up. Today I learned that I need to speak up and get her help before it's too late." "I just realized when you spoke about Emotional Abuse that one of my friend's is going through it with her boyfriend. He's very controlling. Doesn't let her hang out with hardly anyone and when she does, he calls and wants to know where she's at, who's she's with, and what time she'll be back. It's a lot like you and your boyfriend--a really bad situation." "I learned that if you are in an abusive relationship you should get away early, while you still can, cause if you don't it's gonna be too late." "I really understood where you were coming from. And I learned so much, especially about how we can abuse ourselves. Thanks so much for coming to our school." "Your workshop taught me how to get out of an abusive relationship and how you should tell an adult about your problem. You shouldn't run away because it will just cause more problems. " "What you said really got me thinking. Joking with others can be bullying too. I never really looked at it that way." "I was burned when I was only three years old and had 2nd and 3rd degree burns all over my body. For years kids bullied me. It's been hard, but after seeing your presentation, I want to speak out like you are and share my story to help others. I want to be the change." "I haven't really bullied anyone, or so I thought. I was just a bystander. But I learned today that I'm just as bad as the bully if I walk away and don't do something to help. Thanks for opening my eyes."